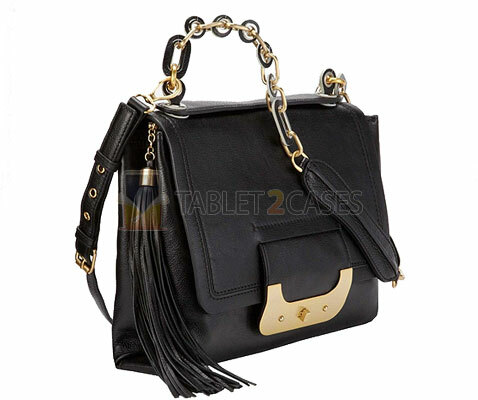 Harper Connect Leather Daybag is a tablet designer case combining style, functionality and uniqueness. 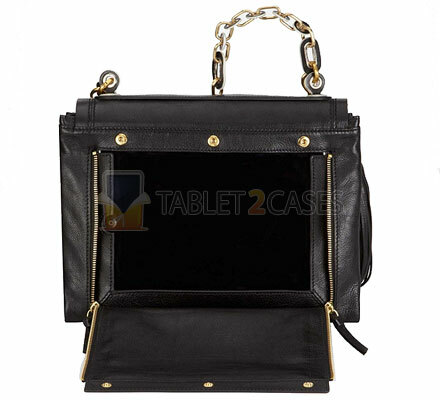 This tablet bag will perfectly fit the Apple iPad inside its zippered pocket and will make sure the device is safe and sound. 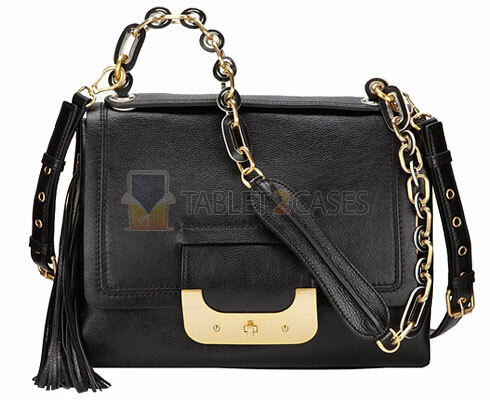 The new case comes with Harper’s signature front closure and hardware. 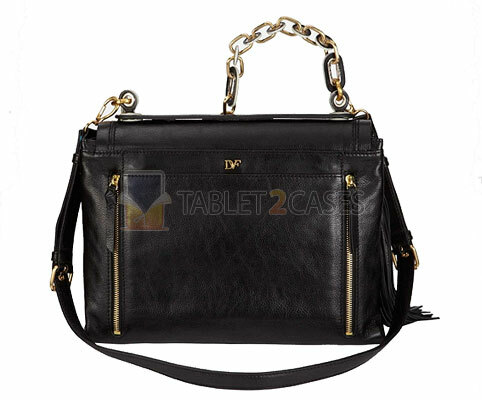 This tablet case for women also comes with a metal and leather shoulder strap with removable decoration. The new tablet bag is crafted out of 100% cow leather , which offers the iPad great protection from the elements. The new luxury bag is naturally full of additional space and compartments to fit everything a modern lady would need on her way. 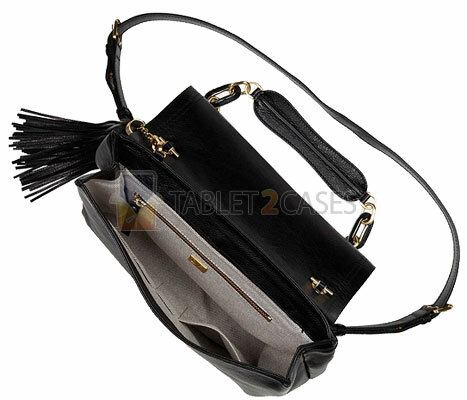 The tablet bag can virtually anything from office documents to iPad accessories and from make up to lunch. But who would want to smear it with smelly pastrami anyway? The new case comes in black and luggage (brown) colors. The new tablet bag can be yours for $695.